Gene Kelly is often quoted about his start in dancing: “I got started dancing because I knew it was one way to meet girls.” The quote tells more about Kelly’s wit than about how he truly began dancing. Actually, Kelly’s mother Harriet made sure that all her children took dance lessons, believing that dancing would develop poise. From the age of seven, Gene attended dancing school in downtown Pittsburgh, but he was not fond of those lessons and much preferred sports. 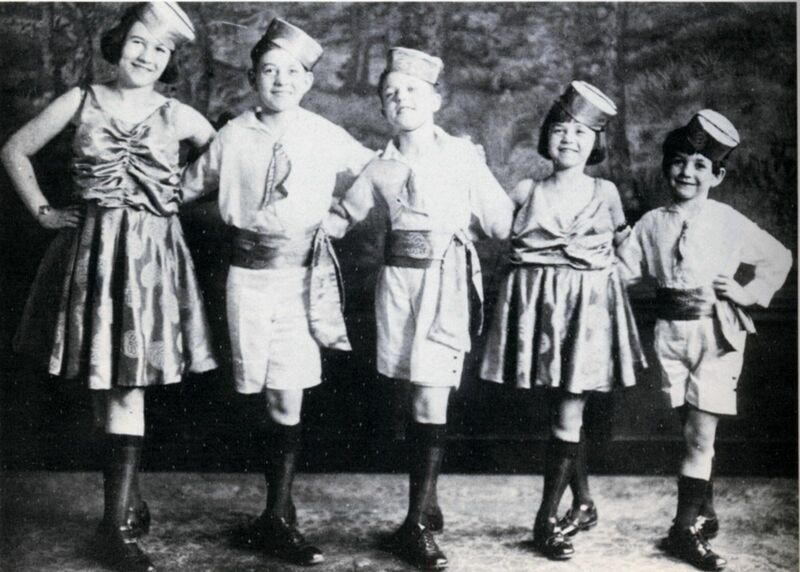 It was his youngest brother Fred who took to dancing and show business more than the others. Although Mrs. Kelly put together an amateur dancing act called “The Five Kellys” (pictured here), Gene was destined to be a great lawyer, Mrs. Kelly believed. Gene did start to appreciate the interest generated in his dancing when he attended Peabody High School. And by the time Gene was a freshman in college in 1929, he discovered his gift for dancing and entertaining. With the stock market crash, Gene needed to earn money in order to pay for tuition, and the family needed money to survive, so Gene teamed up with his brother Fred for nightly dance performances in and around the Pittsburgh area. Peabody High School – Pittsburgh, PA via the Peabody High School class of 1964. During the 1920s, Mrs. Kelly helped run a dance school in Pittsburgh; then, she opened one in Johnstown. Gene became involved with his mother's projects and began seeking out innovative dancers and teachers in order to learn from them. It was during this time Gene discovered he was a quick learner and an excellent teacher of dance. ​Eventually, Gene was admitted to the Chicago Association of Dancing Masters where he would attend classes each summer and was, in turn, asked to teach a few classes himself. Professionals on Broadway began to hear about Gene’s gifts and sought out the young dancer for choreographing dance steps. Among the many contacts Gene made was Broadway choreographer Robert Alton, who suggested that Gene give Broadway a try. ​And with that, Gene Kelly was on his way to the Big Time. 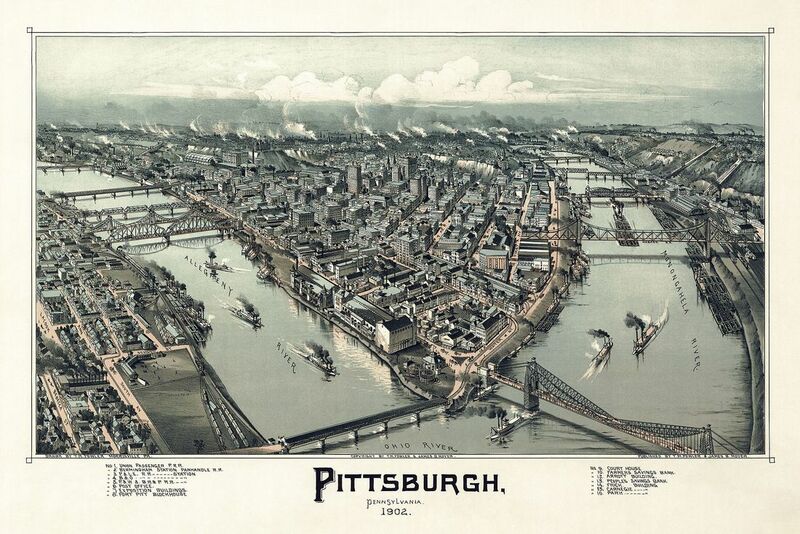 Image: Pittsburgh in 1902. Lithograph by Thaddeus Mortimer Fowler, Wikimedia Commons.